Since I have different styles of books, some YA adventures, some short story anthologies, and now, my big multi-book saga, I wanted a different look to quickly distinguish the series from the adventures. At first, I created the covers for Star Time and Kingdom of the Hill Country myself, using photographs, but as the story broke free from the current time and place, I needed a particular look, especially the characters, that was far beyond my ability to cobble together. I started hunting for just the right look, and after many days of hunting through the deviantART pages, I found the look, and sent the artist a message. away. Character portraits are still my favorite thing to draw and paint. 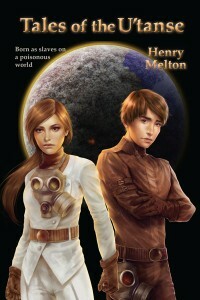 Henry found me through my online profile on deviantART and asked me if I could paint two characters for his Sci-Fi novel. When he gave me the descriptions, I was in. 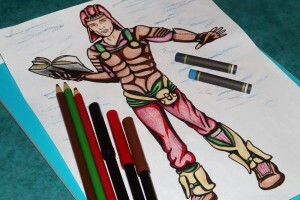 I’m a fan of the genre anyway and the world he created in Tales of the U’tanse was fascinating. I created the work myself and then Henry composed the background and typography. I have never collaborated with anyone on a painting. So that would be something to try out in the future. The difficulty with each commission I get is having to paint things that I’ve never painted before. Each time, I need to do some research and studies to find out how things work and what they look like. For example, I know how to paint gas masks now. The research part can be just as much fun as the painting itself. The hardest part is having to step out of your comfort zone, but at the same time, that’s the best thing about it. The more information I can get, the better. The brief gives me a general Idea of what the characters look like. But it is the story helps set the mood more than a short description. Book illustration is definitely what I love the most. I could also imagine working on card art. In general, I still want to paint characters and portraits, but move a little more towards bigger scenes and environments. Thank you Djamila for all the great art you’ve let me use, and for making it easy to work with someone on the other side of the planet. Thanks again for answering these questions and letting my readers get an idea of who has been creating those interesting faces. Thank you for giving me this opportunity! I would love to produce a book that was perfect. The idea of having a book free of typos and grammatical errors drives a lot of the pre-release work of a book. Right now, Free U’tanse is off in the hands of beta readers who are marking up all the errors I didn’t see as I worked through the book several times. When I’ve removed all the errors that they find, I’m sadly confident that there will still be errors. Every author I know of has the same problem. Whether small press or big time NYC publishers, no book is free of typos. My first book Emperor Dad was an extreme case. I didn’t know what I was doing, particularly in book formatting and details like pricing the book and how much distributor discount to offer. When, in spite of it all, the novel won the Darrel Award for best novel, I knew I wanted a new cover with the award highlighted. Biting the bullet, I reworked the novel, applying the layout changes I’d learned the hard way, as well as correcting the typos that had been reported by readers. I shifted the printer from Lulu to LightningSource and lowered the price. It was a new book, with a different number of pages, in spite of the fact that it was very much the same story. So I gave it a new ISBN number and marked it as Second Edition. That’s what I’m selling today. I still have a handful of First Editions that I don’t bring to events. Maybe someday someone will want them. However, I have received error reports from other books. These are usually simple typos. I can sneak into the master files and change “on” to “in” and not affect the layout or page numbering at all. Posting the changed version to the printer costs money however, so I tend to wait until my inventory is very low. It’s possible a book that sells poorly will never be updated. Sad, but true. I’ve decided to mark these “Updated” books, not as new editions, but with just a little mark so I can keep track of which book has been corrected and which hasn’t. 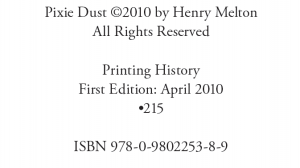 On the copyright page, in the printing history, I’ve added a little date stamp (e.g. •215) when a book has received minor typo corrections. The same mark will carry through into the ebook versions as well, and I suspect they will be updated more frequently than the paper version. Sadly, the main limitation on processing these updated versions is my time. If I have to choose between writing the next book and posting updates of the old one, I’ll choose to get the new book out sooner. I hope you understand. 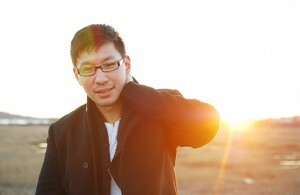 Arthur Wang showed up in an email one day and I’ve never met him in person, but he did a great job on Pixie Dust for me. Heya Henry! Sorry for the long wait, I just moved to school to finish up my degree and things have been pretty hectic. Answers to your questions below! I’m Arthur and I’m actually half illustrator, half designer. Illustration is really more of a side-job for me, since as much as I like it, work isn’t as stable as I’d prefer, so I’m actually studying to be a product/industrial designer. With regards to paintings, half of what I do is scifi/fantasy and the other half is a bit of a gloomier, more somber “surreal figurative”, which I usually do with oil paints. We met through the internet! What a modern wonder it is. 😀 I remember hearing the idea for the story and thinking “hey, this could be fun!” I hadn’t really done much young-adult/lighthearted work up until that point, and it was a very fresh change from robots, sorcery, and explosions. I think this was also one of my earliest commissioned/published pieces, and I’m glad I got a start with Henry. Every piece I’ve done has been, I suppose, a solo piece. If you wanted to stretch the definition of collaboration, then obviously the input of the writer that creates the story is of paramount importance, but all the artwork is done myself. I like painting because it gives the artist the chance to exaggerate certain things, and I remember being fascinated by the way light works on the human body. Specifically, when you see a thin layer of hair (as in the cover!) with light filtering through it, or the how the exact spot on skin where a shadow meets light is always so bright and colorful. I love those little nuances. Having the artist’s and the writer’s ideas match up! This is an innate challenge when dealing with more than one human being at a time, and it’s still true in this partnership. We have to learn to communicate to each other what we’re looking for, but at the same time complement each other with our individual strengths. Can I, as the artist interpreting the work, elevate the script that I hear through my own skillset? I think it’s my grand goal to make the cover something that adds to the story. I like having a piece that isn’t necessarily a literal translation of what’s happening in the book. If you look at old Star Wars posters, for instance, you get a good feel of what characters, environments, and feeling is in the movie, but not necessarily a step-by-step of the plot. I think this is a good approach, and allows us to really get flexibility in portraying what we feel are important things for the reader/viewer to know about the story. I’m always a fan of a bit of abstraction and minimalism in my work. So far, illustration is really a fun side gig for me. I’ll sometimes get approached by writers who’ve seen my work somewhere, or when I’m feeling a little uninspired, do some searching on my own for a fun project to work on. I like the nature of this interaction more, as I can really fully enjoy the process when it’s not the difference between life-and-death. If I don’t like the sound of a project, I can simply turn it down. With illustration not being my main bread-winner I get to be a bit more picky about who I work with and what projects are really fun. My site is at ArthurWangArt.com, and is split into a “design” section and a “fine art section.” Feel free to take a look, and thanks for reading! And thanks for your time, answering these questions. Christian Renee Bressler was a lucky choice when I was first hunting for artists to help me with my books. I was asking everyone if they knew of artist that might be available — and here she was, right in my family. Roswell or Bust, my second novel was approaching the deadline and I needed a cartoonish image and Christian put it all together. My name is Christian Bressler. 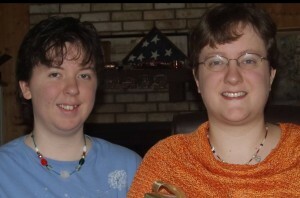 I am 27 years old, wife to Brady of almost 6 years and mother to Landri who just recently turned one. I grew up in Canyon, Texas and received my bachelors in Advertising Design at Savannah College of Art and Design in Savannah, Georgia. 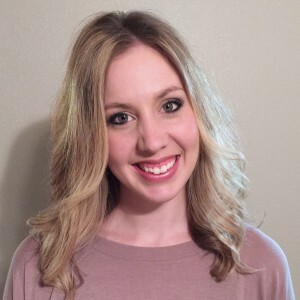 I recently made the big switch from being a full time graphic designer/brand manager at Texas Tech University Health Sciences Center to staying home with my daughter and focusing my energy on being a mom and on my business. I own Spirited Expressions here in Amarillo, Texas where we do “paint and sip” classes. I also am a freelance graphic designer, working on projects spanning from logos to book covers, wedding invitations to advertisements and everything in between. I would consider graphic design to be my specialty. I have been working as a graphic designer professionally for 6 years. I’m lucky enough to call Henry my great-uncle! He asked me about working on a cover design while I was still in college. 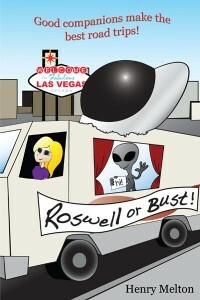 I was more than happy to get the chance to work on the cover of Roswell or Bust. It was such a fun project, I couldn’t pass it up! 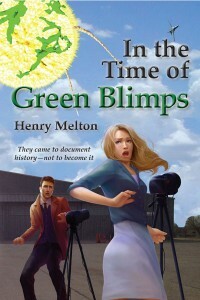 I mostly just worked with Henry to match what he had envisioned for the cover. But I created the cover art myself. One of the hardest things with any novel, I think, is illustrating the characters. Bringing to life something that is described in text. People tend to develop the image of what they think the characters might look like based on the text and individual perception, so trying to do the book justice was probably the most challenging part. 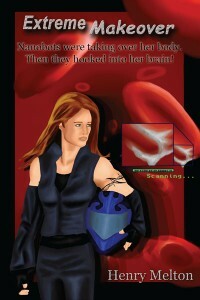 Also, the book cover was created while I was still learning design programs and developing my sense of style. Challenging, but also a wonderful experience! Same as above. It can be challenging to create a single image to encourage someone to not only pick up the book, but also depict the content. Whether with illustration, photography or even just typography. But this is also why I love working on covers! I like the challenge! I think it depends on the project. I think it is definitely more beneficial to read the text first. Then you have a full picture of what could be and multiple ideas can be bounced around. I think a little of both. After I graduated from college, I started working as a graphic designer at a publishing company. 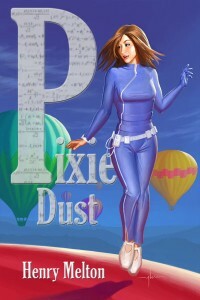 I got to get my feet wet in the world of creating covers, and laying out books. Since then, I have done a few covers here and there. I always enjoy those projects and hope to continue to work on more in the future! I’m always up for a new and exciting challenge. Some of my freelance and stationery design work can be found at www.urbanbeedesign.com. I also create several of the original paintings found at www.spirited-expressions.com. Thank you, Christian, for a cover that always attracts attention at my table and thank you for taking the time to answer my questions. 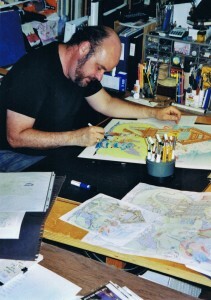 Brad Foster is well known to many people who attend the conventions. He’s been the Guest of Honor at a few, I know. He’s very personable and easy to talk to. 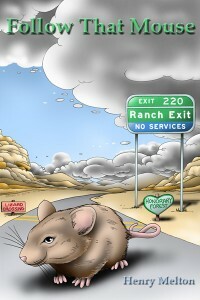 When he expressed interest in doing a cover, Follow That Mouse was next in my writing queue, and a perfect project for him. Brad’s the name. Art’s the game. Ink on paper, digital on screen, I’ve been playing the art game since I could pick up a crayon. One day I might get good at it. It’s a dream…. 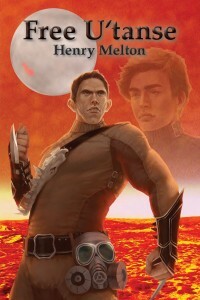 I cornered poor Mr. Melton at a science fiction convention, and basically brow beat him until he gave me a cover to do, just to make me go away. I did it all by myself, so there is no one else to share the blame. I’m sorry. Well, I do recall kind of fixating on getting the road sign absolutely correct, looking all sorts of photo references of what such signs look like in the real world, checking colors, etc. Not so much a difficulty as much as some sort of weird compulsion! Deciding if it is best to go totally literal with a scene from the book, or just try to symbolize the over all feeling. I think I got halfway with both of those on this cover. I prefer being able to not only read the entire text first, but to be able to ask the writer questions on details. But, I will work however the publisher feels is the best method for them. It’s their baby, after all. I think I’ve already reached where my art was going to take me: living a life where I can spend most of my time creating artwork is a dream come true. And yes, I hope to do more cover art (Note to Mr. Melton: assign more cover art to Mr. Foster), plus do any and everything else art wise that might come my way. Book and magazine covers, interior illustrations, cartoons, comic strips, posters, logos, art prints, cards, (greeting, playing, and whatever else might be out there to draw), video games, non-video games… if someone needs an artist for a project, I’d love to try it, always have. Thanks Henry, this was fun! And thanks Brad for getting back to me so soon. Aspiring artists, this is a man to emulate when you’re trying to make a name for yourself. He’s always out there, and quick to respond when asked to help. I wish I could be able to sign up for all the events for the upcoming year at one time and be done with it. Unfortunately, every event has their own way of doing things and their own schedule. Some events are so popular that you’d better sign up a year in advance, if you can. Others take a big break after the stress of running the event and don’t even update their website until just a few months before the next one. That leaves me with the duty to run my list of events every few weeks and see which ones have turned on their vendor registration. I have this spreadsheet to help me keep everything straight. I put in the date of the events and keep them sorted, with a handy URL list so I can click to bring up their website. Hotels are another thing I have to keep in memory. Some of the events are local, so I can commute, but I have forgotten to book a hotel room in times past and that’s too much stress to deal with at the last moment. There is also the business of whether to get a Vendor table or an Artist table. Some events even have other classifications to deal with. Personally, if the (usually cheaper) Artist table is locked off overnight, I prefer it. However some Artist tables are in open hotel corridors, so I would either have to take down the table every night and put it back up every morning, or risk some pilferage. So, I will sometimes spend the extra cash to get a protected Vendor table instead. The last issue is cost, and how it affects when I will register. Big venue Comicons, with many thousands of attendees also charge a lot more for their table spaces. Events also take the money up front, so I’d prefer to hold onto my cash as long as possible and register a couple of months before the event — if I’m sure they won’t sell out their spaces. It’s a gamble. 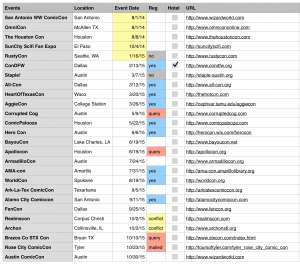 If you’ve clicked on the spreadsheet to look closer, you might have noticed that nearly all of the events listed are in Texas. There are two issues for me — travel costs and sales taxes. Closer to home is cheaper, and if I can keep my tax paperwork to a minimum, that would be good. However, if a convention invites me, I’ll jump at the chance to go farther afield. Every new novel, after a few rounds of editing, gets packaged into an 8.5 x11 bound format and mailed off to select readers who then have the joyous task of scribbling all over it and telling me where I messed up. 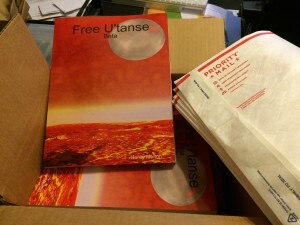 Well, yesterday the shipment of Free U’tanse beta copies arrived and it’s time for me to package them up into mailers and get them sent off. BTW, that’s not the real cover. It’s just a dummy until I get the final artwork in from Djamila in Germany. It’s always a race to see which reaches the deadline first, the manuscript or the artwork. Some of these Beta copies have nearly the final artwork, others just have a few scribbles. It’s been a couple of months since I’ve had a table at a book event and one is coming up before too long. Although I’ve been selling books from my website during this slow time, I do make most of my sales when I can meet potential readers in person. 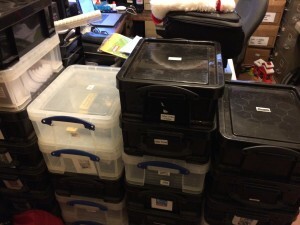 I monitor my inventory using Quickbooks, but there’s always a need for a manual count to weed out damaged books or possibly ones lost in the hectic business of setting up and taking down so many display tables. So, I’ll be putting away my Santa hat and digging into all my boxes. Wish me luck. Today, I’m working on two very different books. I can’t show you the covers yet, but I will soon. 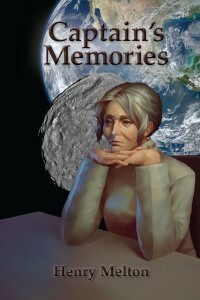 The next novel up is Free U’tanse and follows the events of Tales of the U’tanse which came out December 2012. The U’tanse are humans, captured by the Cerik aliens in Star Time. Their decendants are enslaved on the planet Ko, trapped by their powerful and vicious masters, and by the poisonous atmosphere of the planet itself. The U’tanse have inherited the psychic talents of their original mother, but that forms a trap in itself. The book should be out in March, but I’m always a little uncertain about that. The best reading experience is Star Time->Tales of the U’tanse->Free U’tanse, and I’m outlining the next book, which should be out in about a year. The other book project is very different. My sister Mary Solomon is a famous artist living in the Amarillo area. She and I have collaborated on a picture book, which is in final layout stage. Chipper Flies High is a short little tale of a bird living in the swamps of Cape Canaveral who sees the giant Man Bird preparing to fly and goes closer to get a better look and… Well, that would be a spoiler. The ideal age for Chipper Flies High would be a youngster old enough to know about rockets and space stations and who enjoy listening to books or just beginning to read them. There’s about twenty pages of text and pictures.